On Saturday, former President Obama gave a speech in Berlin, Germany. Following his remarks, there was a Q&A portion. One of the things I do worry about sometimes among progressives in the United States – maybe it’s true here as well – is a certain kind of rigidity where we say, "Uh, I’m sorry, this is how it’s going to be," and then we start sometimes creating what’s called a "circular firing squad," where you start shooting at your allies because one of them has strayed from purity on the issues. And when that happens, typically the overall effort and movement weakens. So I think whether you are speaking as a citizen or as a political leader or as an organizer, whether you’re in the non-profit space and civic space or you’re in the political arena, you have to recognize that the way we structure democracy requires you to take into account people who don’t agree with you, and that, by definition, means you’re not going to get 100 percent of what you want. But you should take some time to think in your own mind, and continually refine and reflect, "What are my core principles?" Because the danger is, if you don't know what your principles are, that's when you compromise your principles away. So, you have to know ahead of time, "Here is what I'm willing to compromise. Here are the things that I'm not." You can't set up a system in which you don't compromise on anything, but you also can't operate in a system where you compromise on everything, everything's up for grabs. That requires a certain amount of internal reflection and deliberation. 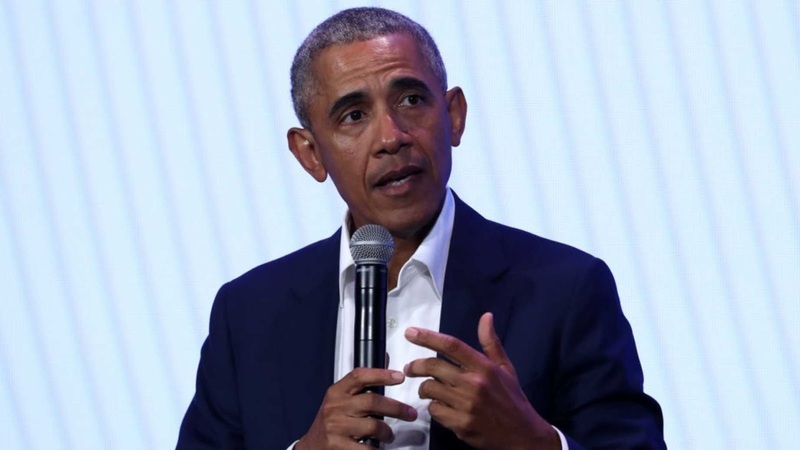 Obama also added that "the health care law" that he championed in the U.S. wasn’t "the ideal health care program" according to his ideology, but he was satisfied by "establish[ing] the principle that everyone gets health care," knowing that he could build on it later. It’s difficult to know about whom, if anyone specifically, the former president was speaking. However, with the 2020 Democratic primaries approximately a year away, and the debates beginning in June, it seems as though the candidates are being judged by some parties on their progressive ideological purity. For example, in February, presidential candidate Sen. Bernie Sanders (I-VT) tried to walk a tight rope when it came to the notion of reparations for African Americans. Well, as I just indicated, there are massive disparities that must be addressed. There is legislation that I like, introduced by Congressman Jim Clyburn – it's called the 10-20-30 legislation, which focuses federal resources in a very significant way on distressed communities, communities that have high levels of poverty. So as I've just indicated, you know, I think we have to do everything that we can to end institutional racism in this country. It is not acceptable to me that the rate of childhood poverty among the African American community is over 30 percent in this country, that is beyond belief, that African Americans die from cancer at higher rates than whites. So, we're going to do everything we can to put resources into distressed communities and improve lives for those people who have been hurt from the legacy of slavery. SANDERS: In other words, as a result of a legacy of slavery, you have massive levels of inequality. It has to be addressed, and it has to be addressed now. BLITZER: In 2016, you said it would be divisive, reparations. SANDERS: Well, again, it depends on what the word means. I think that right now, our job is to address the crises facing the American people and our communities, and I think there are better ways to do that than just writing out a check. In response to Sanders’ stated position, the Democratic Socialists of America’s AfroSocialist and Socialists of Color Caucus asked the DSA to hold off on endorsing Sanders. His views weren’t pure enough. Despite the outcry from the caucus, the DSA did eventually endorse the senator.